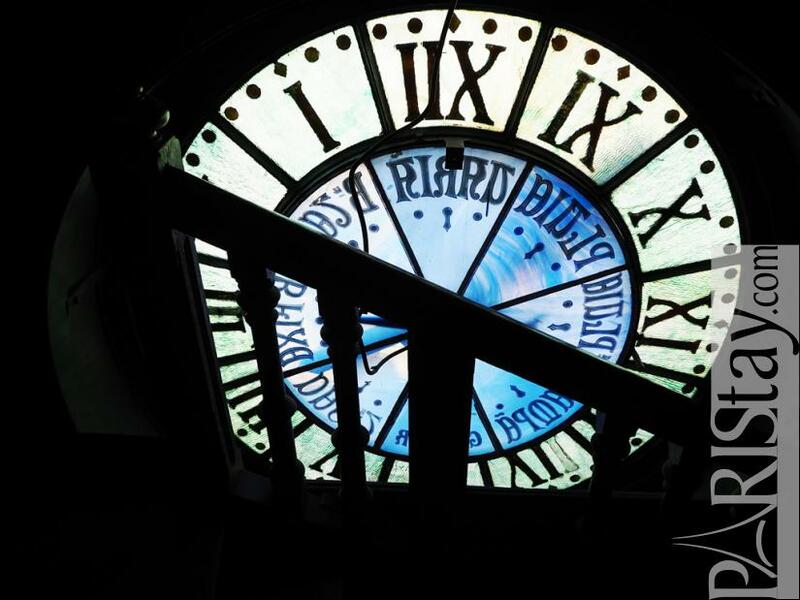 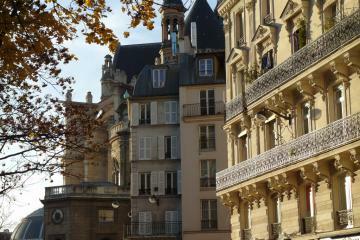 Gothic facade topped by a giant clock, railing of balconies as a cathedral... Feel as in an american movie ! 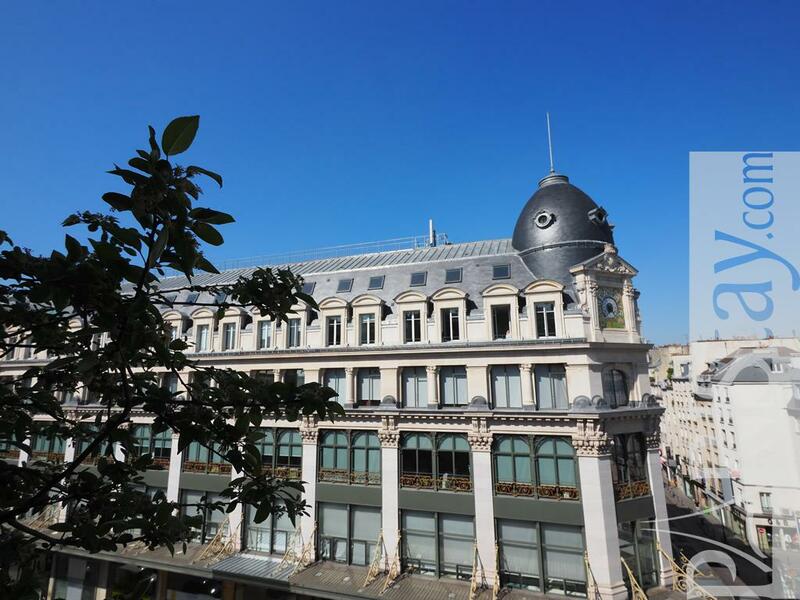 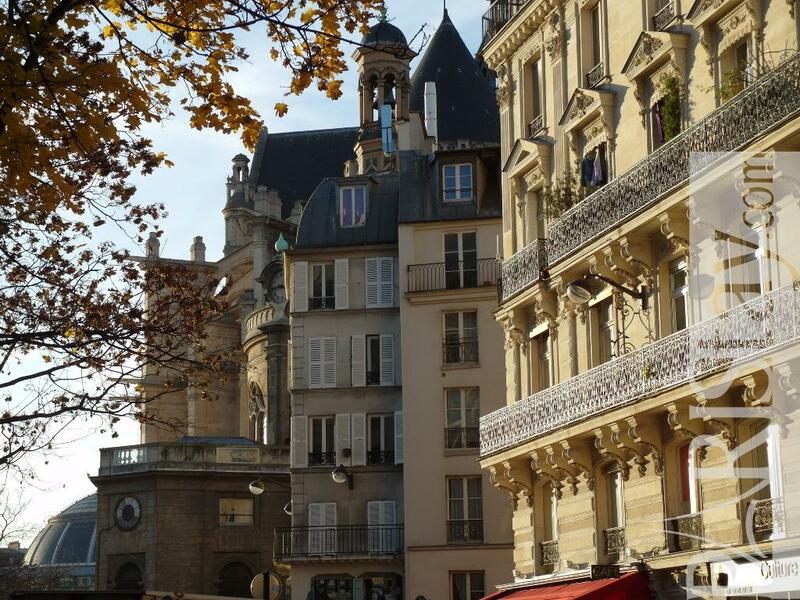 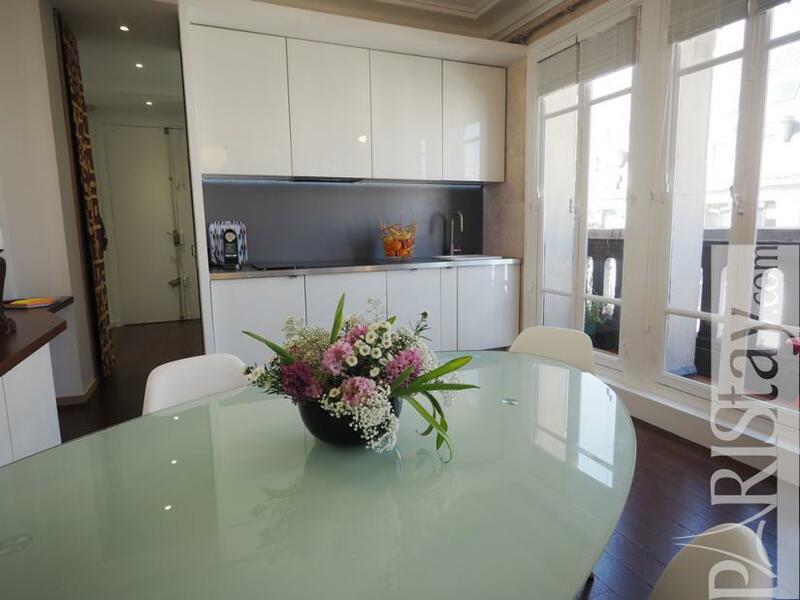 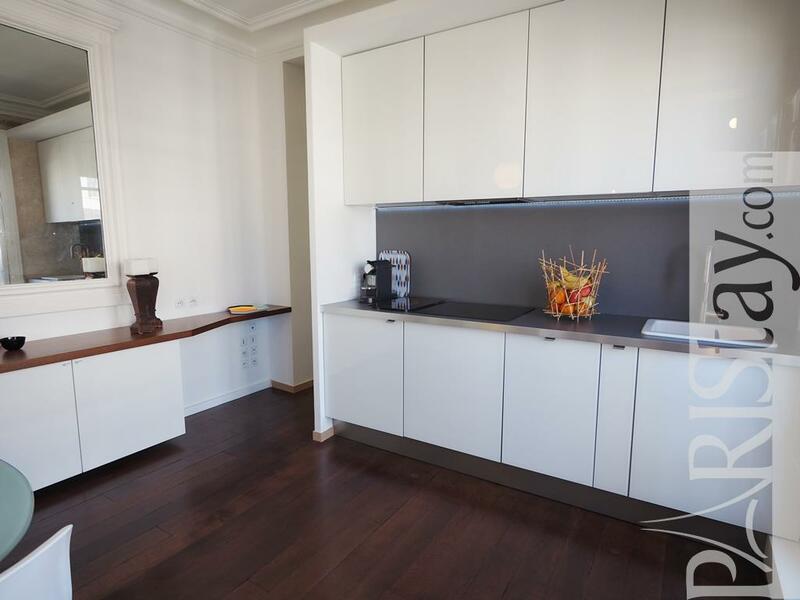 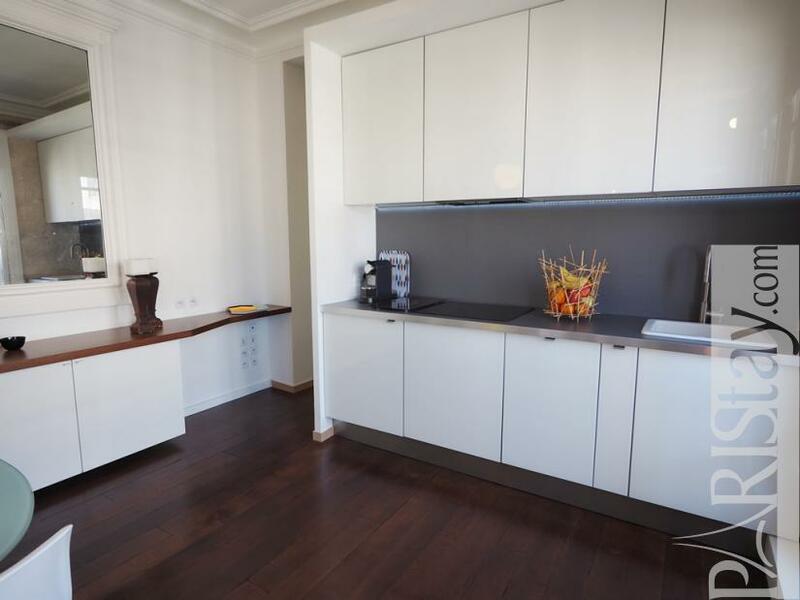 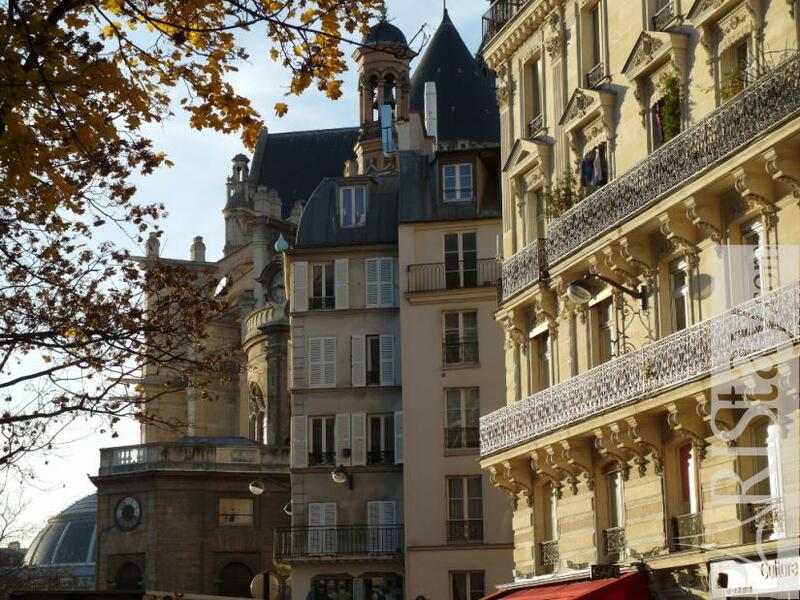 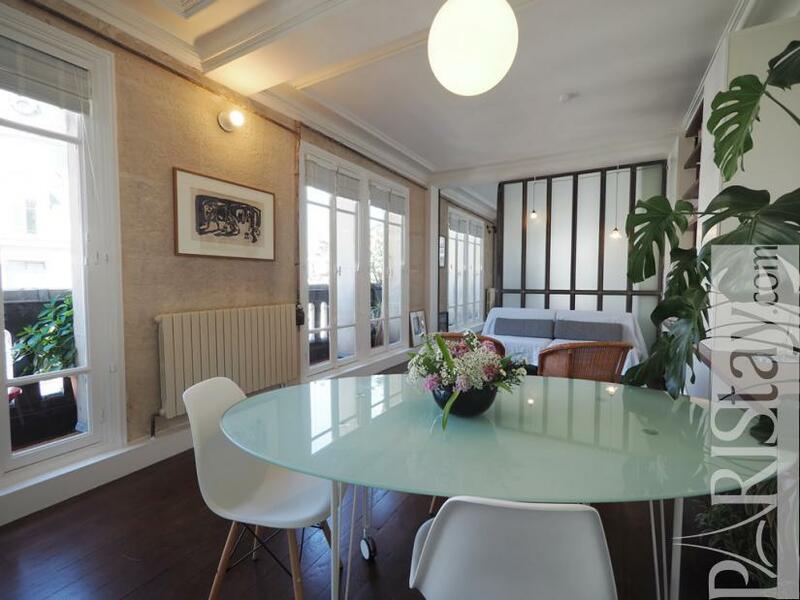 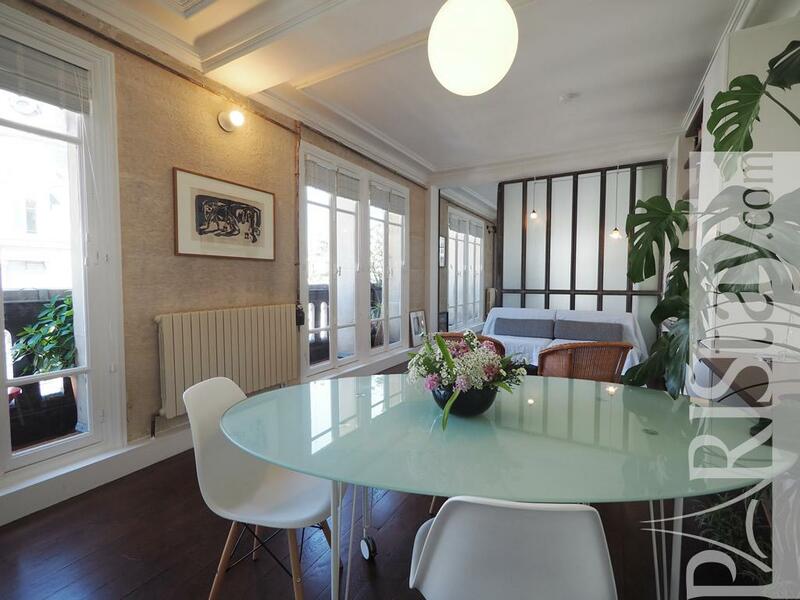 This astonishing apartment for rent is located in a famous 1920 building of the lively Montorgueil area. 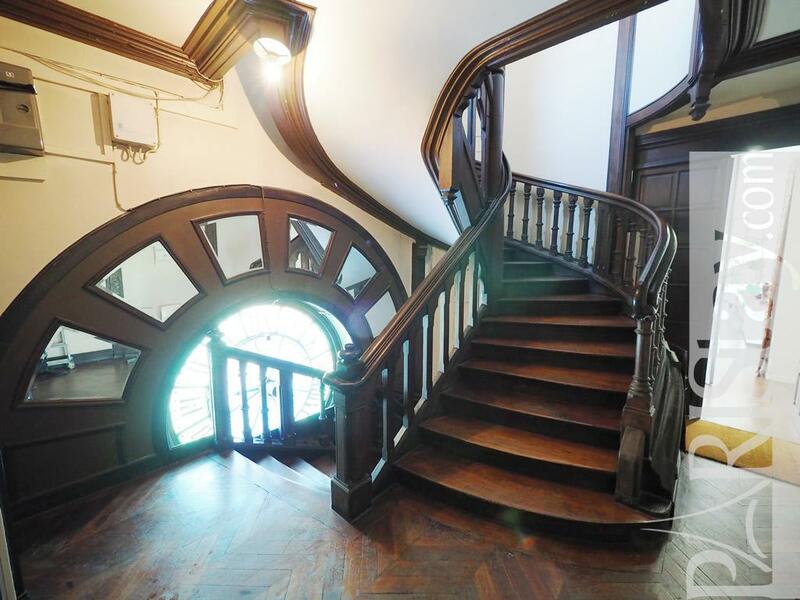 It is in the 4th floor with lif but, sure, you'll use the amazing snail-shaped staircase to reach the apartment ! 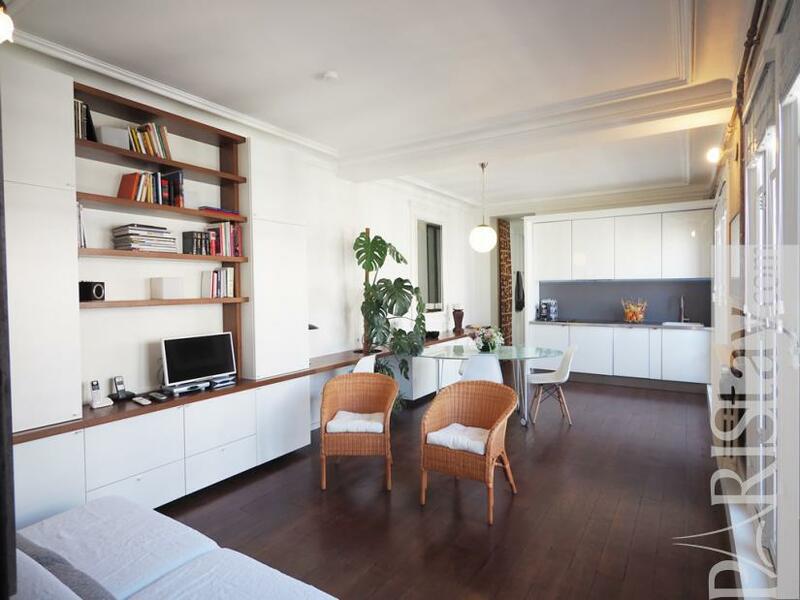 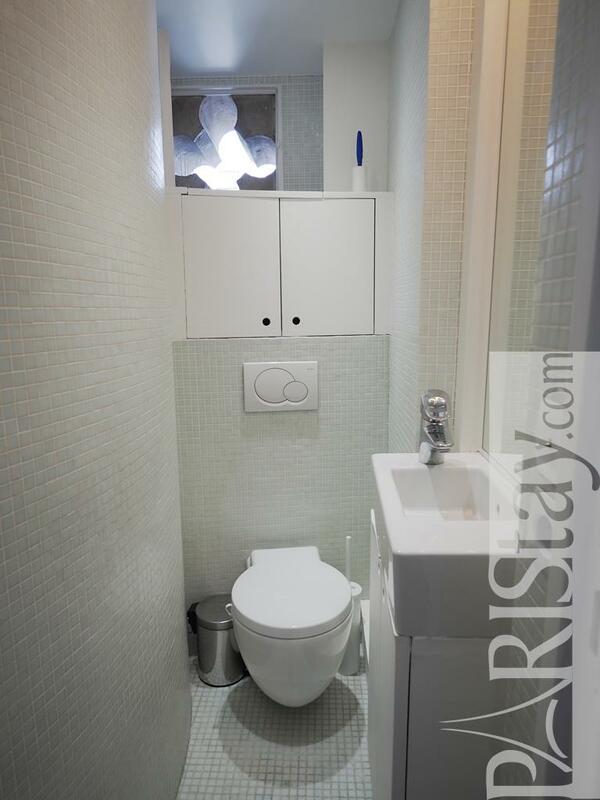 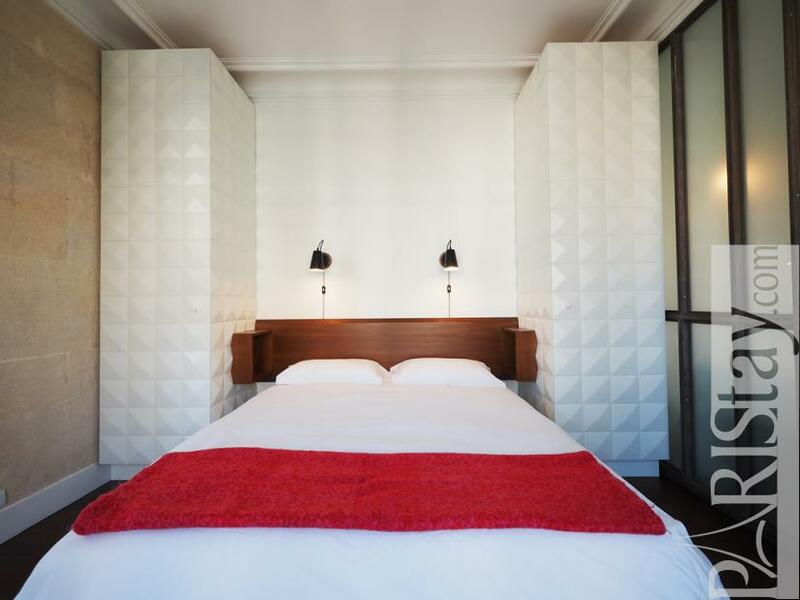 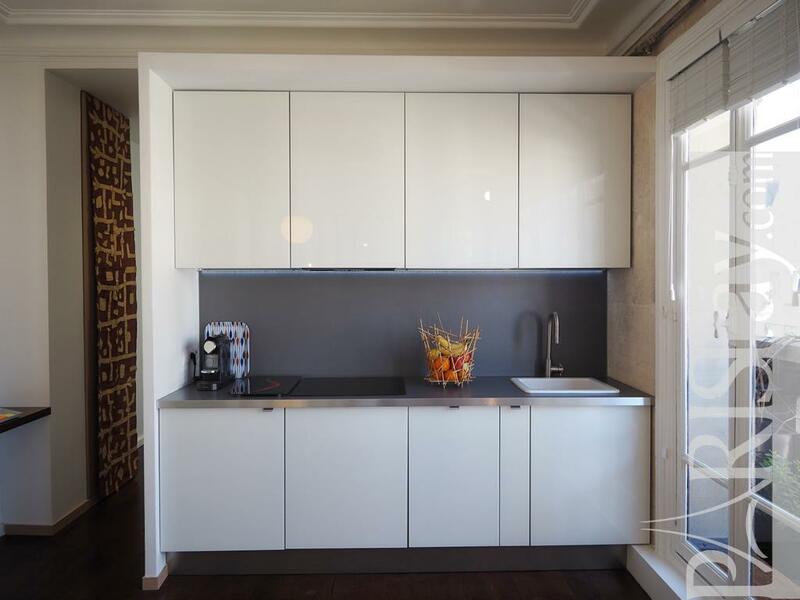 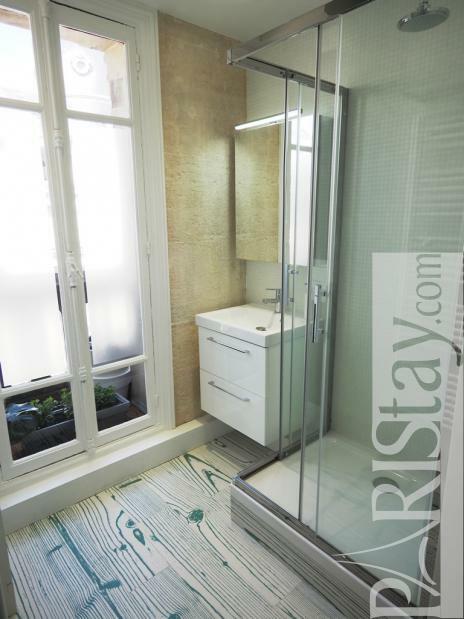 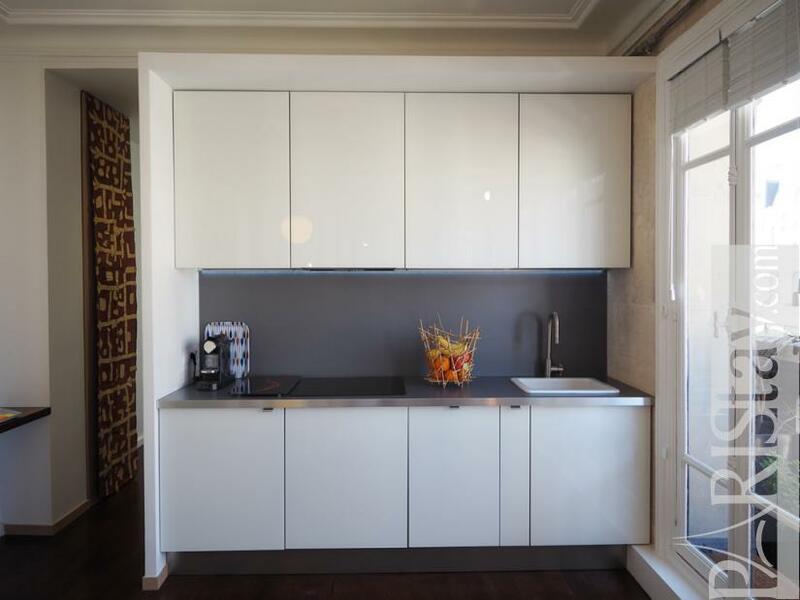 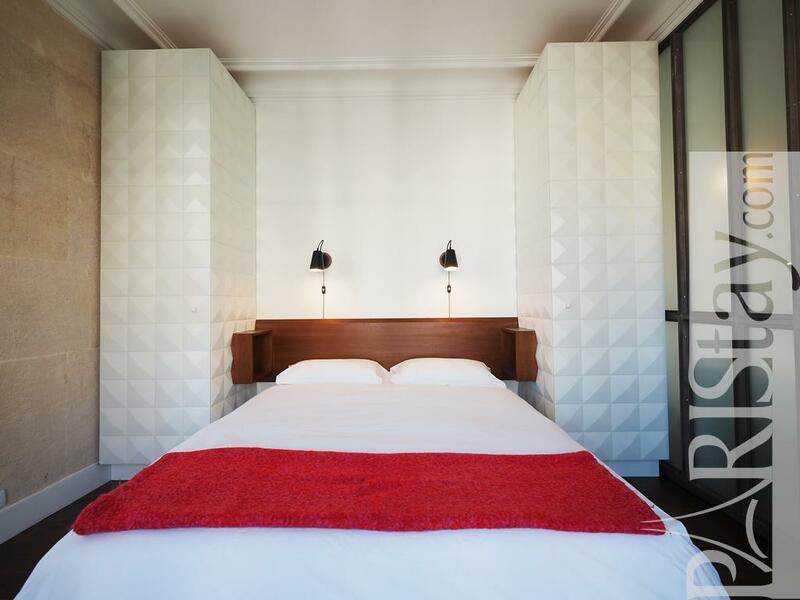 On entering the Paris One bedroom apartment rental, you will be surprised by the space, volume, design and zen ambiance, the italian refined materials and colors. 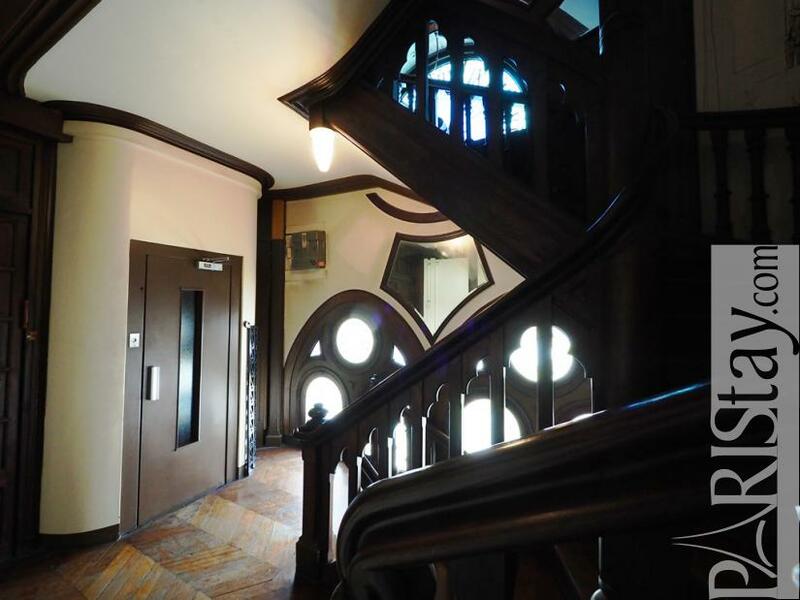 You notice the long balcony open to the sky. 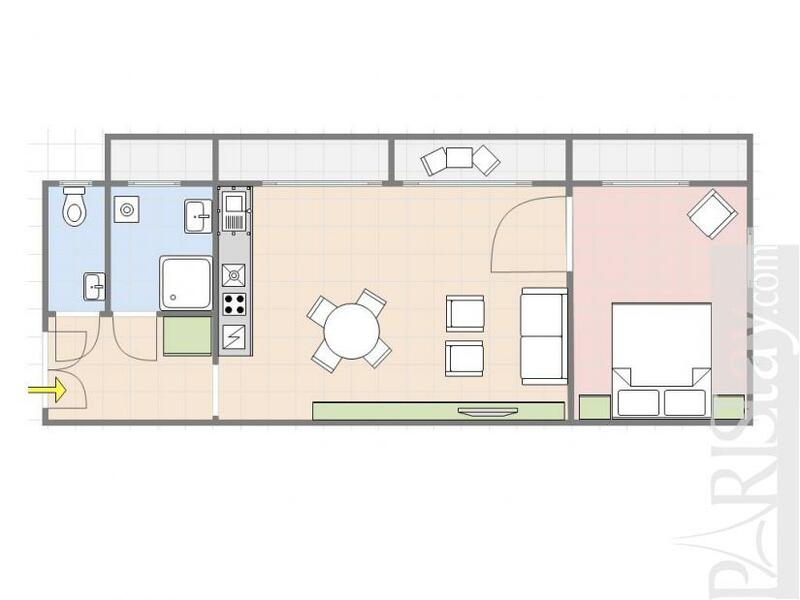 You will appreciate the fully equipped kitchen, large dining table and cosy atmosphere of the spacious living room. 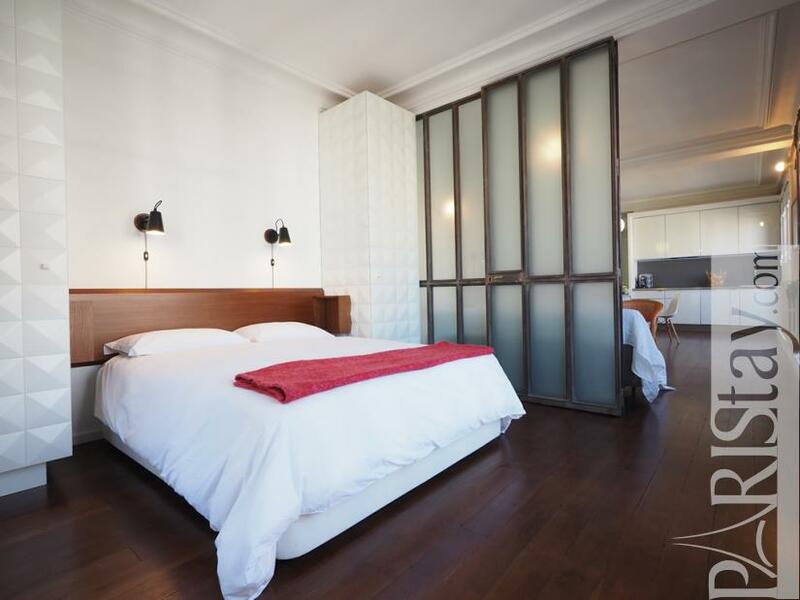 At the end, a glass wall separates the bedroom, spacious, bright, offering a queen size bed ans beautiful wardrobes designed by the owner. We have to say he is an architect. 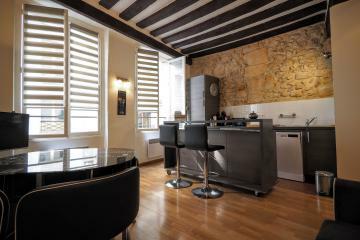 Everything has been totally renovated, beautifully designed. 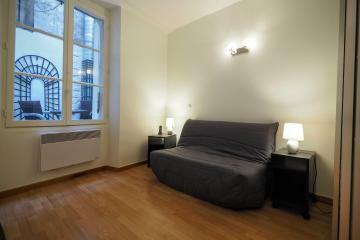 Its is equipped with quality equipment and fully furnished. 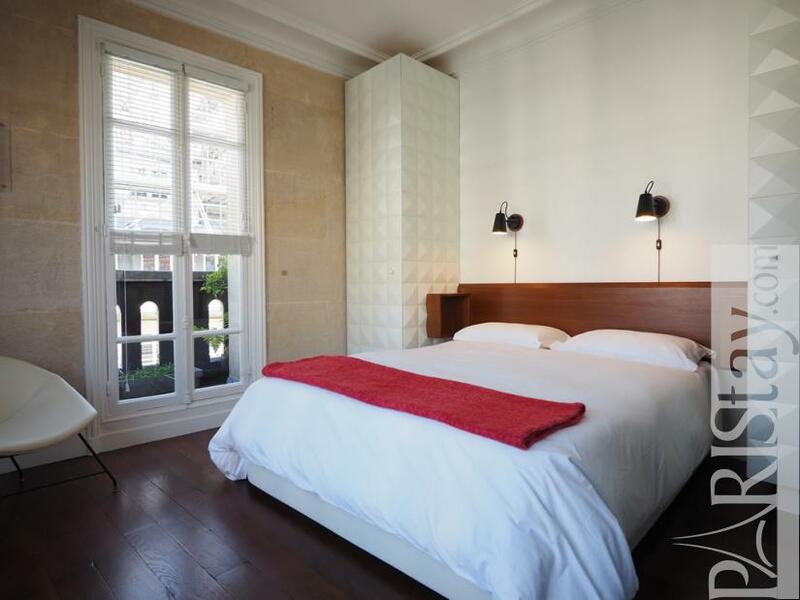 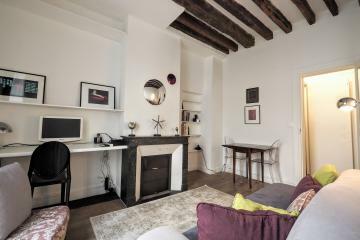 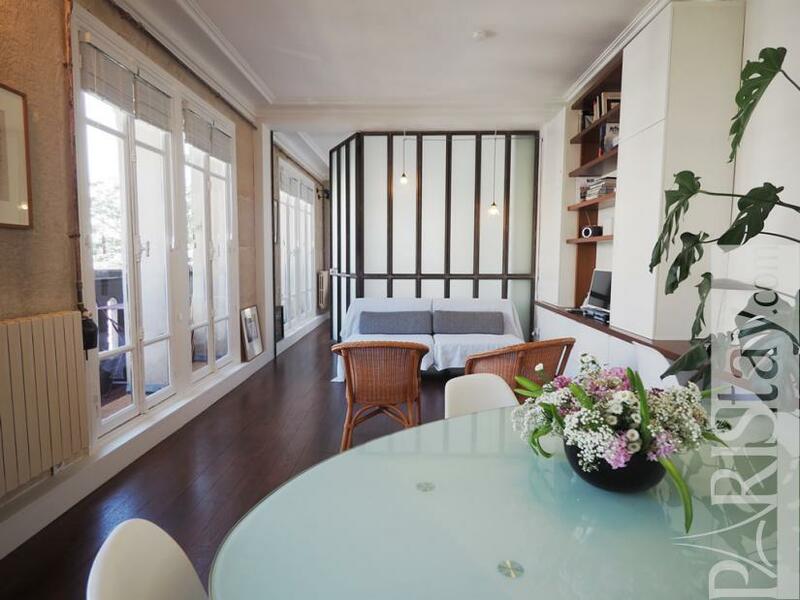 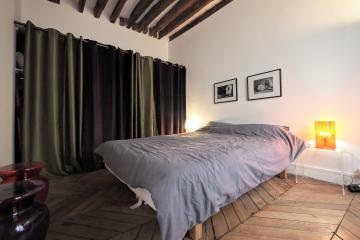 Perfect for long term stays in Paris. 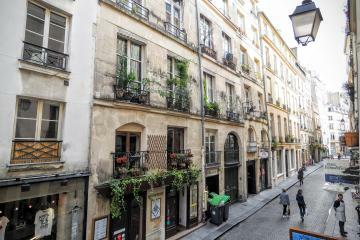 You'll find everything need around thanks to the Rue Montorgueil offering various food shops, a daily market, trendy bars and restaurants. 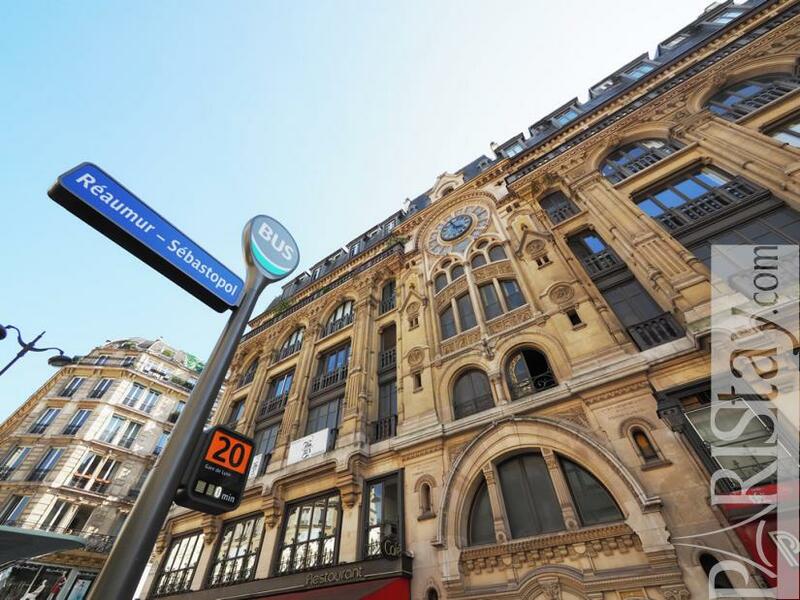 Easy transportation links : metro and Velib faces the building. 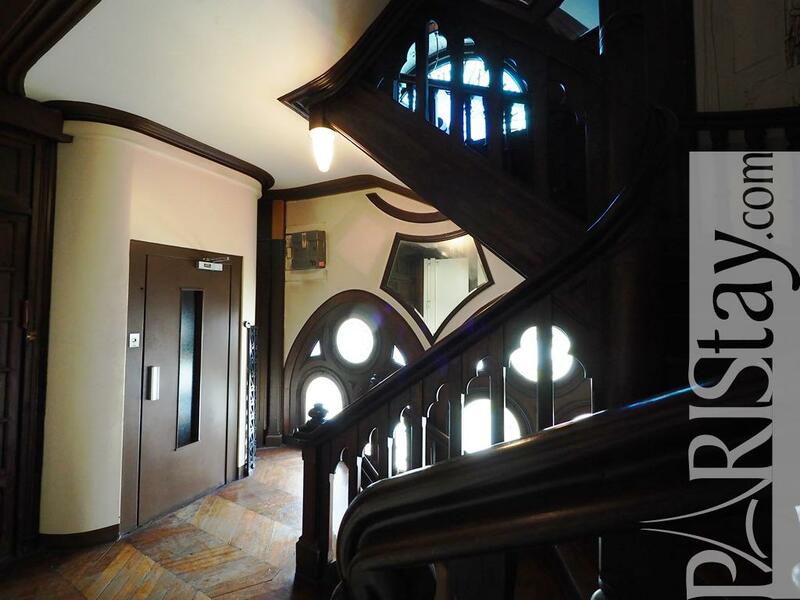 To be discovered asap!! 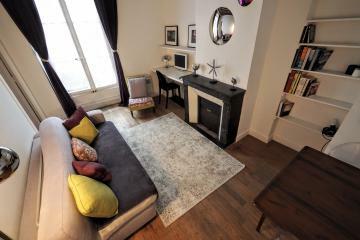 Please note Heating, hot water, internet are included. 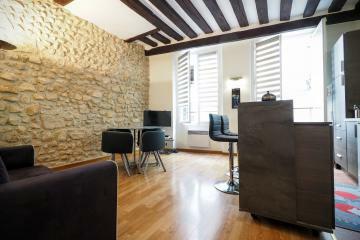 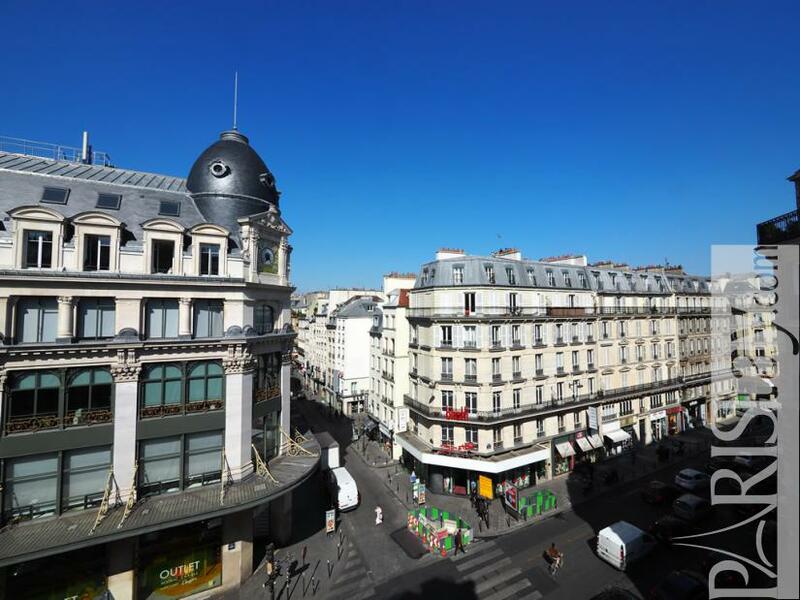 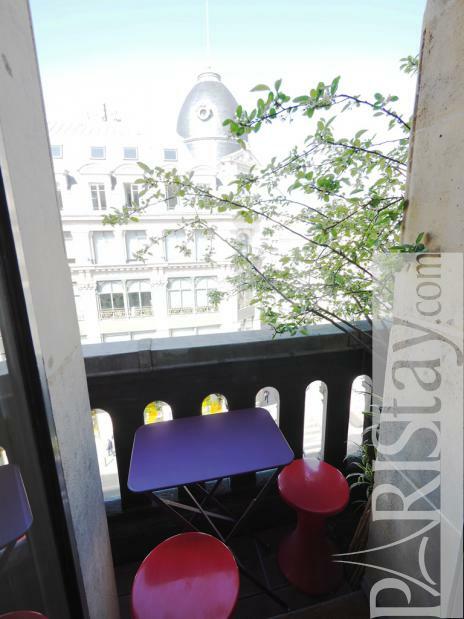 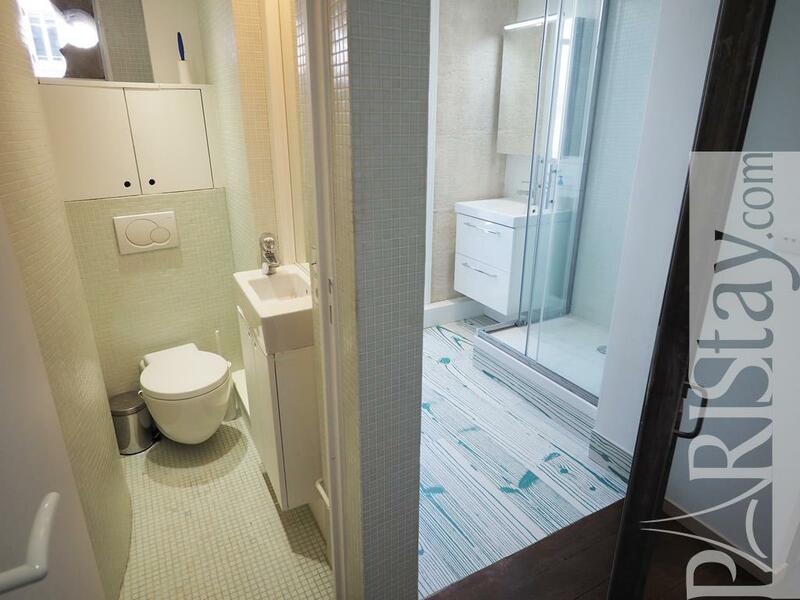 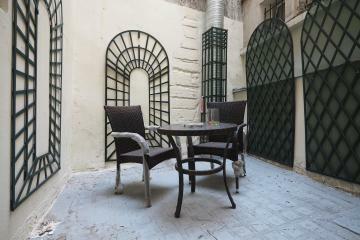 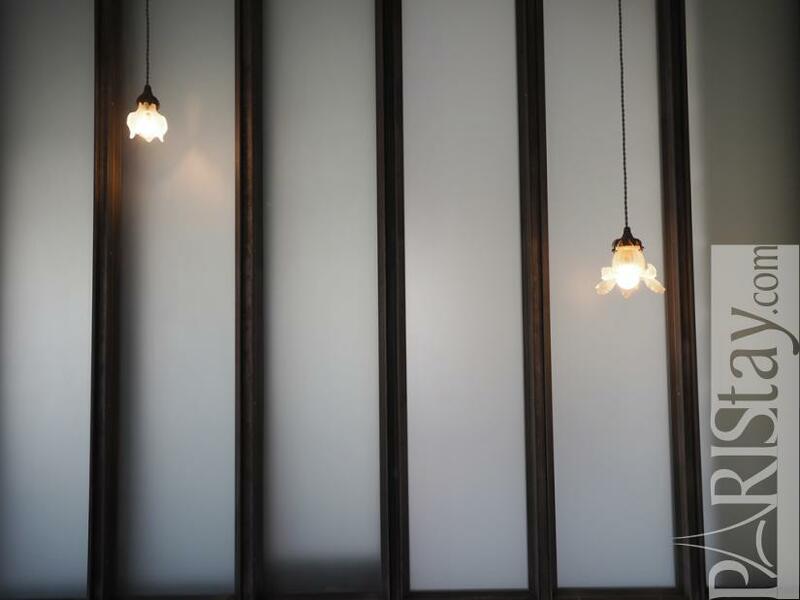 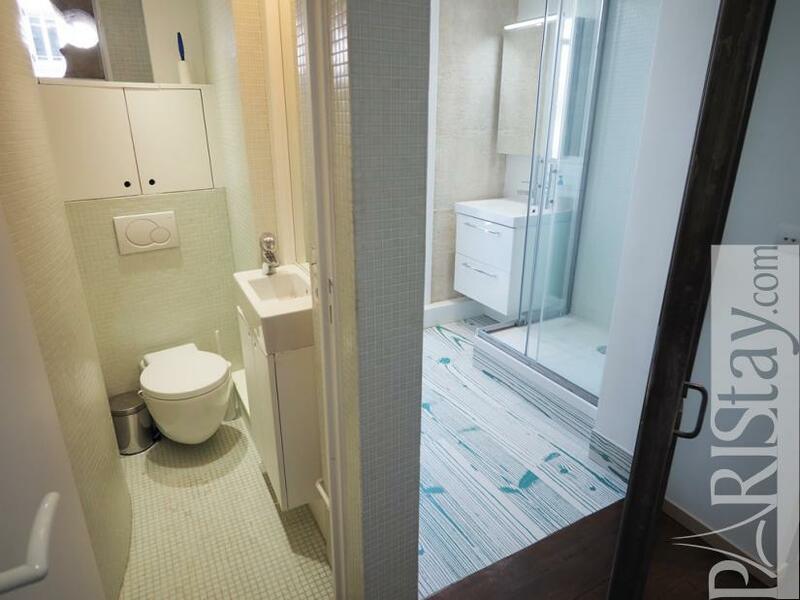 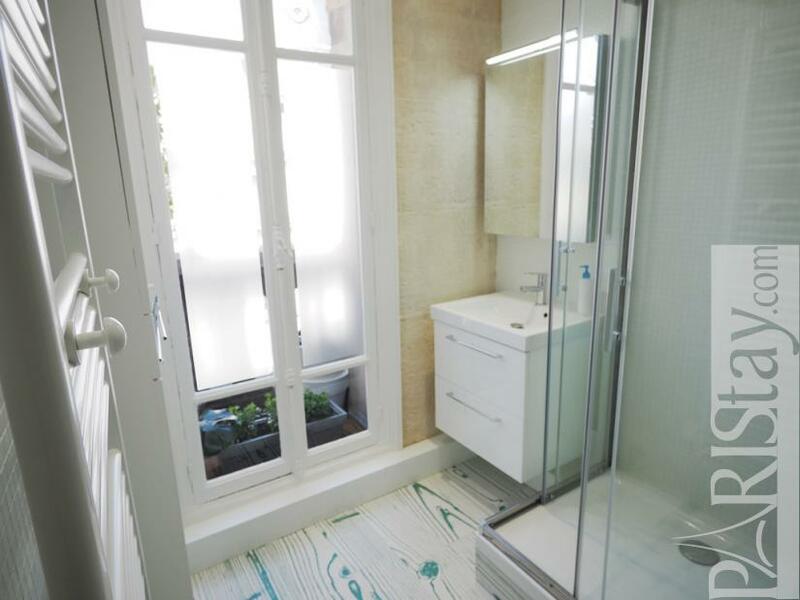 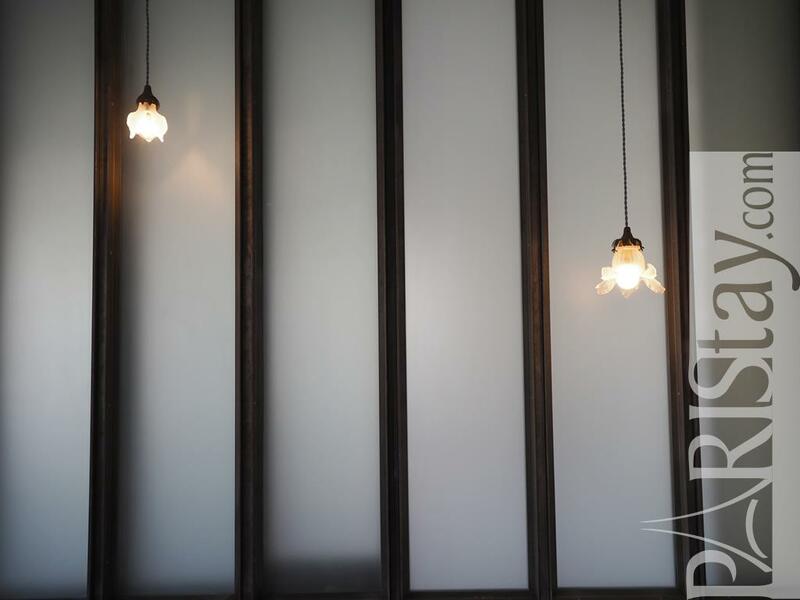 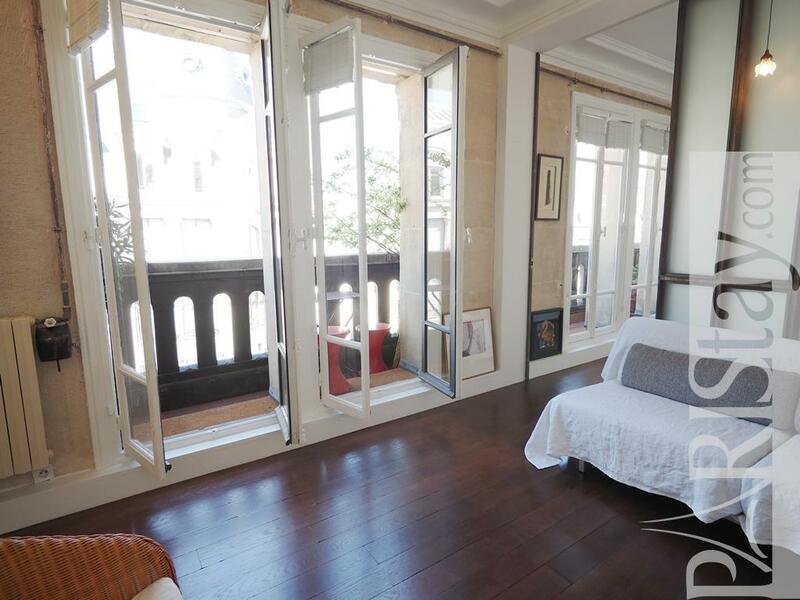 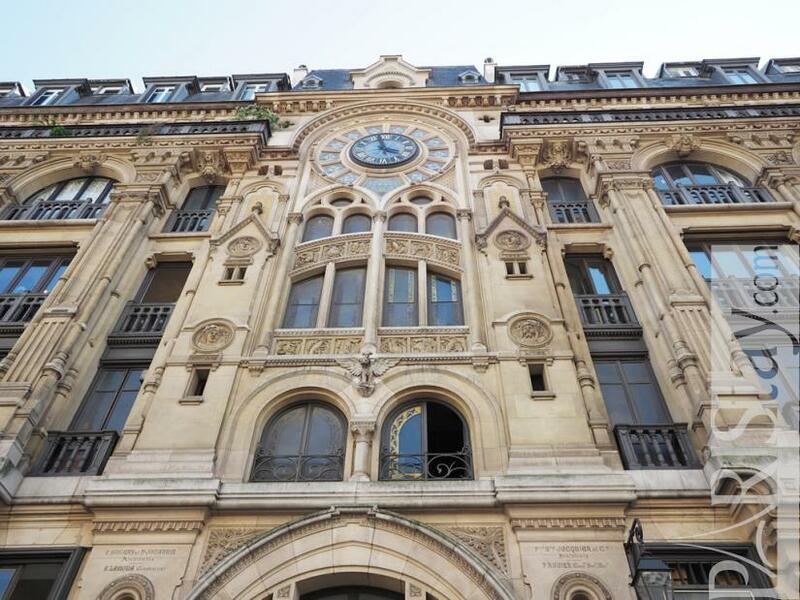 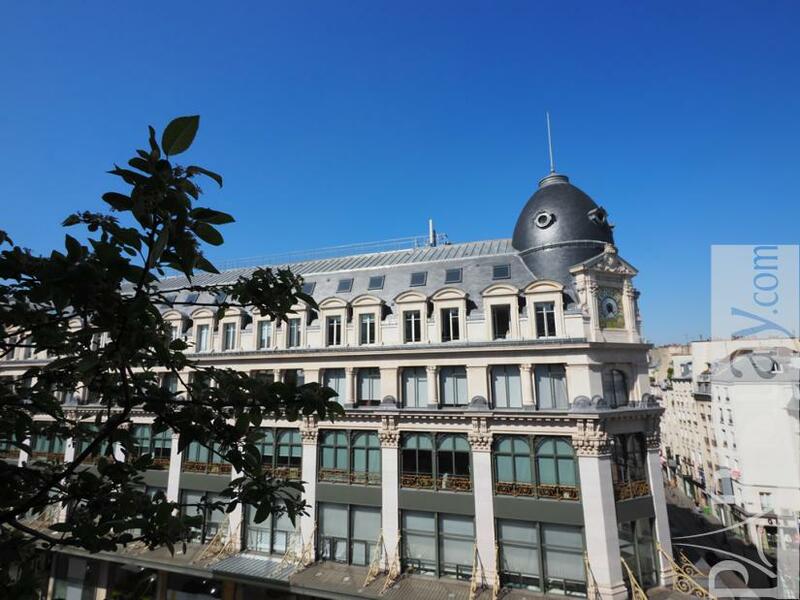 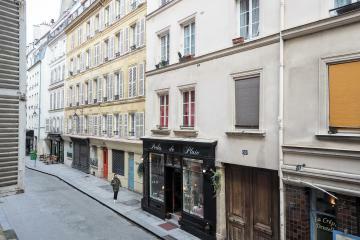 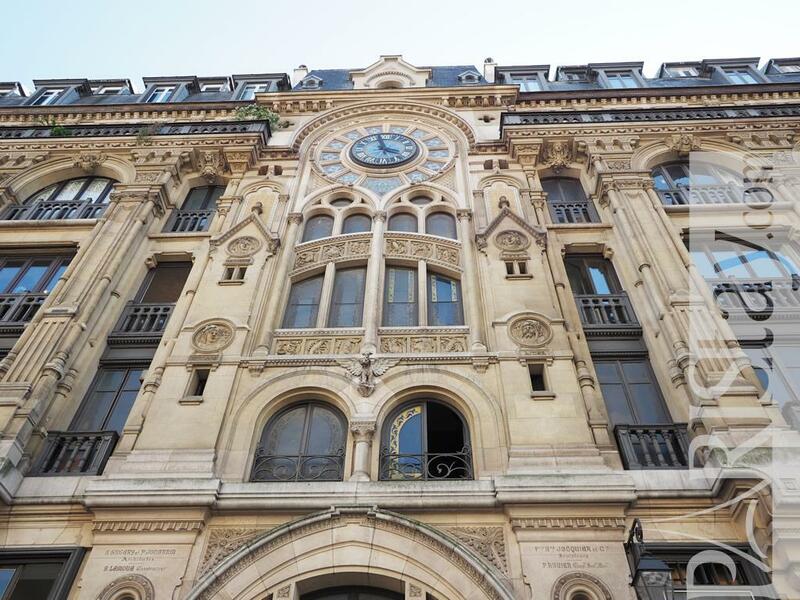 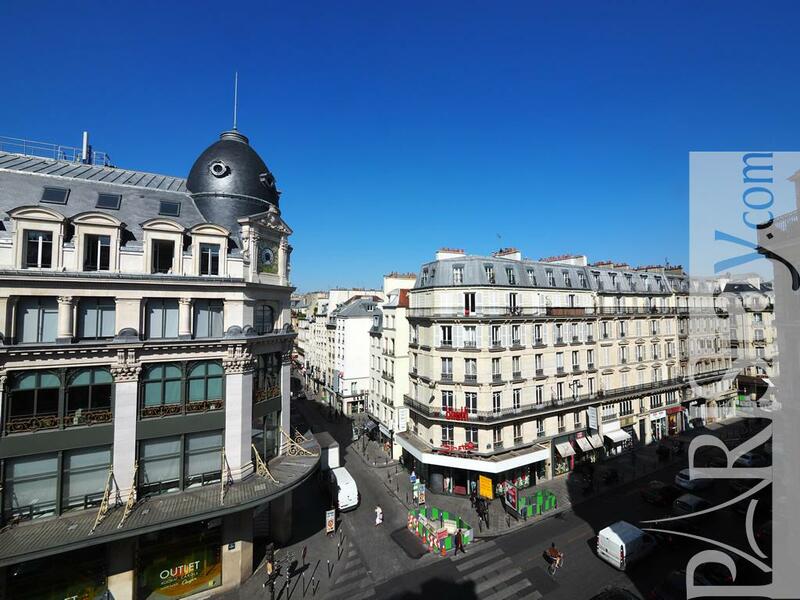 1920's Building, 4 rd floor, with Lift, with intercom, 1 bedroom Appartement, furnished, Approx: 50m² / 538 Sq.Ft.